With more than 6 years in the Web Development industry, we can design high profile professional website for literally any type of business. Whether it’s Real Estate, Hotel Accommodation, Construction, Online Stores or even a Buy/Swap/Sell Website. We can Develop it! We have a very strong understanding of Search Engine Optimisation and we have been able to implement amazing results into many Melbourne Businesses. We research your industry and find the most relevant Backlinks and Keywords you can use for your website. We are very experienced when it comes to online marketing, sales, promoting and growth. We have a great reputation of taking broke down Melbourne businesses and turning them into a huge success online, We put all our knowledge and experience into each and every one of our clients. 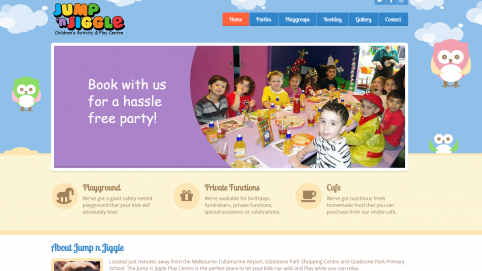 Jumpnjiggle was a website redesign for a playcentre in Tullamarine, Melbourne. Looks amazing!? The amazing work we did for a Client in Sydney, Australia! This site took about 2 weeks to complete. 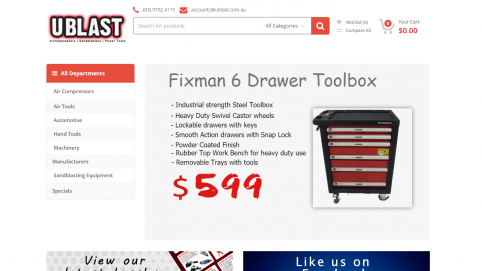 Ublast was one of our big projects, It was a total mess when we found it, And we’ve turned it into a great online store to find all your Air Compressor and Sandblaster needs. We were having problems with our website provider, they were charging us $1000 a month and in return our online sales was extremely poor. Through a referral, we contacted Petru and the results were amazing. Not only did Petru set up a great website, the cost was very reasonable and now our online sales are 5 times what we were getting before. 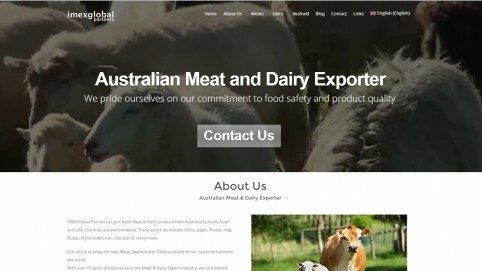 We were so happy we asked Petru to design another 2 websites which also work well. Thanks for everything, its great to deal with honest and reliable people in this world. I have recommended Petru to many of our customers and suppliers. Petru built out website in a flash, very clean and easy to use, was very well priced and a lot more cost effective than other competitor quotes I received . Can highly recommend ! I Contacted Petru from Digital Aurora about a website design for my new real estate business. They supplied me with a fixed quote and a set timeframe which I was very pleased with. Digital Aurora Designed my website and presented it to me within the timeframe I was given. I highly recommend Digital Aurora for any Web Designing job. Digital Aurora has created 3 websites for me. They are cost effective, reliable and creative. Well recommended. We were sick of impersonal web providers, so we moved our hosting & emails to another company. To our horror, they were taken over by another giant a week later and managed to lose our websites and emails for 10 days, whilst changing all the settings in the process! For a small business it was disastrous. As our IT person struggled to argue with our hosting company, he recommended I talk to Digital Aurora to see if the problems could be fixed. Within two days, the problems were over and within 4 days, all emails were recovered as well as our websites. During that time, they untangled the mess of behind-the-scenes complications, got the emails working across all devices (including remote computing) and even upgraded one of our websites. For good advice and prompt service, Digital Aurora is hard to beat. Their advantage is personalized service with knowledge to back it up, their fees are more than reasonable and they attend to queries or problems promptly and without hassle. For small business, you can’t get better than that. 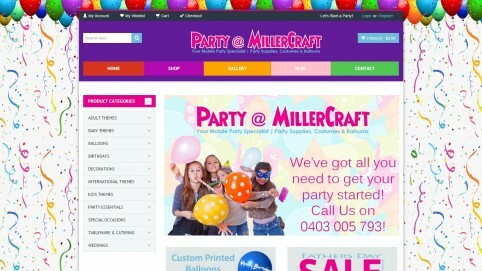 We specialize in professional web development and SEO services to local Melbourne and Australian businesses. Over the past 6 years Digital Aurora have helped hundreds of Melbourne businesses get their business online and help them sell their products in an ecommerce environment. Not only have we created beautiful websites, but we’ve also developed unique strategies to help our clients sell their products online using various methods including social media marketing, AdWords campaigns and SEO services. A good looking website is great, but looking good means nothing when no one can see you. That’s when we come in, we can design and develop a professional business website or ecommerce website and provide you with everything you need to make sure your website is generating money and keeping it that way by writing SEO optimized content for your products and pages, promoting your store using social media and google AdWords as well as implementing methods that many other companies simply can’t provide to you. If you’ve got a business or an existing website that isn’t generating you sales or visitors, then you’re doing it wrong. Roughly 80% of our clients have turned to us from other companies who have ripped them off and haven’t shown results that they’ve paid for, and we can prove to you that we’ve got a very happy client database who would happily recommend us to everyone, and they do! Read some of our success stories to find out more about how we’ve helped Melbourne businesses like yours succeed online. We can also look into your business and find issues internally that can prevent you from making profits or sales, some of these issues could be, how you promote your products, what products you sell and we’re you’re marketing them to customers. We have a strong understanding of the internet and we can unleash the full potential of it to benefit your business. We can provide one on one consultations for you and help you put together a better strategy when selling or promoting your business, product or service. One thing that we’re good at is sniffing out competition. We can look at competitor’s and look at what they’re doing wrong and use that to your advantage. A lot of the errors they make can include website speed, design, SEO optimized content, broken links, and much more. We can also find genuine and strong backlinks for your website. Backlinks are links from other high authority sites that link back to your website. when a high ranking website links back to you, it tells google that you’re website is somewhat important to them, and it will encourage google to rank you higher in search results. So if you’re looking for a Great Website Designing, Amazing SEO Services, a Melbourne based company & someone who knows your business and can take it to the next level. Look no further. Digital Aurora have you covered. Getting your new website is easy and convenient. First of all. get in touch with us by emailing Hello@digitalaurora.com.au Let us know a bit about your business and what sort of site you wanted to get developed. Or you can just send us the link to your current website and we’ll take a look. Once we’ve evaluated your needs, We’ll put together a Quote. Once you accept the quote an initial 25% deposit must be made prior to working on your project. Your website will be developed in a test environment which you will be able to see before paying the remainder of the invoice. We’ll make adjustments and once satisfied we’ll transfer the site to your Base domain and it would then be live to the public. After the site has been migrated we’ll continue to support you, So don’t worry about us leaving you on your own. Although depending on the type of support you need. We may invoice you for the support period. If you have any coupon codes from us you can use them when paying your invoices through our billing system. You’ll also have access to our support ticketing system which you can use to obtain support. We will also provide you with an emergency contact number for emergency situations.